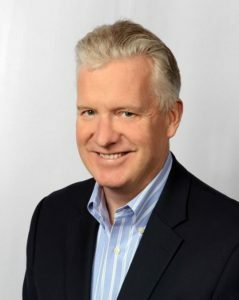 LAWRENCEVILLE, GA. – September 21, 2017 – Source Support Services (Source), a world leader in the delivery of technology and medical services, today announced that company founder Mark Oldfield has appointed Mike Stolz, previously Source’s Chief Operating Officer, as the company’s new Chief Executive Officer. Oldfield will remain with Source as Chairman and Founder. Oldfield founded Source in 2001 and has served as CEO for many years. He has led Source to become a market leader as a provider of outsourced OEM and ODM based services in the data center, high performance computing and medical technology markets. Stolz joined Source in 2016, and as COO, was responsible for all of the company’s worldwide service operations, including service delivery, customer success, logistics, field engineering network and Source’s service automation delivery platform – Source Central. Source’s delivery model provides a framework for customers to establish or augment their services program without carrying the costs of a fixed services infrastructure. Over the last two years, Source has enhanced its operational model, quality management system and Source Central automation capabilities to serve more customers and provide a broader depth of services without sacrificing quality for ever more demanding end-users. For more on Source’s Leadership team, please see their Leadership web page. Source is known as a leader in global information technology service delivery for original equipment manufacturers (OEMs), original design manufacturers (ODMs) and system integrators (SIs). Information technology markets include data center and high performance compute sectors servicing products that include hyperconverged systems, servers, network, and data storage and life sciences sectors servicing products in telemedicine and mobile computing carts. Staffs a 24×7 support operations center based in the U.S. with support engineers that average more than 20 years of experience in complex IT fields and carry expert-level certifications. Source Support Services is a leader in providing global, same-day and next-day on-site IT support. Its deep experience enables the company to protect and support brands by deploying seamless, scalable and cost-effective solutions that result in outstanding service experiences for customers. Source is privately held and based in Lawrenceville, GA., and boasts an unparalleled network of more than 12,000 independent, certified service professionals in more than 100 countries that enables it to offer outstanding service experiences to its clients’ customers. For more information, visit http://www.sourcesupport.com/.